Audubon Spring Creek Prairie, Nebraska. 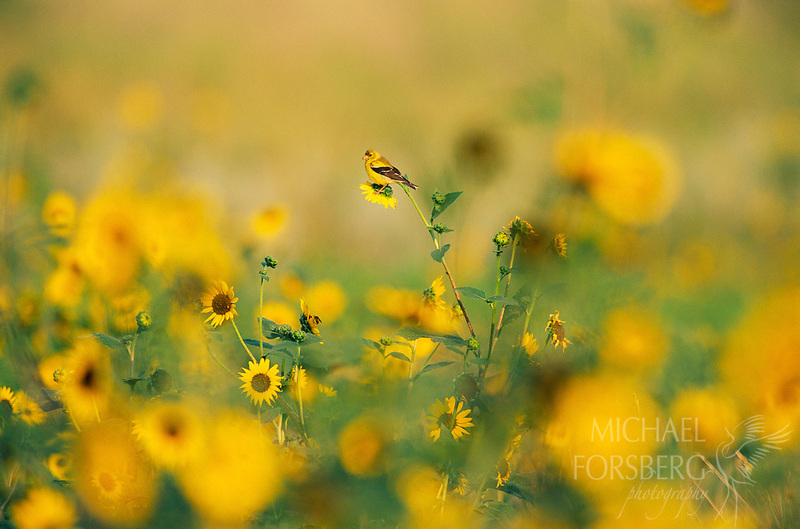 A female goldfinch pauses in a patch of wild sunflowers in late summer. Goldfinches are among the latest nesting songbirds in the Great Plains, nesting in or near stands of wild sunflowers and native thistles which seed in late summer and provide a ready food source for their young.